With a healthy amount of trepidation I am going to wade back into the blog and hopefully be able to consistently post. I was going to say again, but on reviewing the blogs content consistency has never happened before. We will start simple with a goal of once a week, but actually shooting for a bit more. Moenghus is level 90 and has been for a couple of weeks. I absolutely enjoyed the leveling process. I didn’t expect that. There were definite spots where it got grindy, usually at the end of content (55-58, 68-70, 70-80). I expected going through the Cata content for the 11th time would be brutal, I was wrong, thankfully it went really fast. And 85, to 90 was a lot of fun. Not being a completionist really helped. 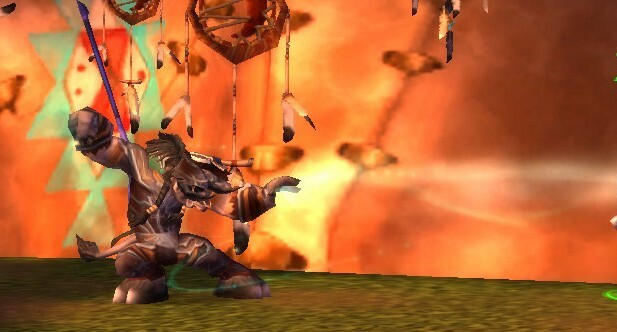 I leveled mainly as a windwalker did every dungeon once, except Heelfire Ramparts and Upgrade Keep. And when I was level appropriate I moved to the next zone immediately. Even in pandaria, which I know is sacrilegious. I ended up doing all of the Jade Forest, a quarter of the valley, skipped the wilds completely, and as soon as I could I got out of Kun-Lai summit for the entirety of the Steppes I left, and needed every quest in the Dread Wastes to hit 90. After hitting 90 I looked around at all the blue exclamation points said “F That ” and immediately qued for heroics, scenarios, and battle grounds. ( I have a family a job and a soul blizzard. I only have time for one thing right now. Gearing for raiding, or rep grinding (just for the ability to fill holes in my tanking set with valor points). The rep grind came in second. (I’ll get to it when I have an item level that is sufficient to no longer require 5 man / honor gear. Rant off!) This calls for a list. 1) HEROICS: the new heroics are a lot of fun, fairly forgiving, and fairly short. I will only tank them for guildies at this point. Bosses refuse to drop agility leather, this is not news. All my JP’s get turned into honor. 2) SCENARIOS: Short and sweet and not a bad way to kill time waiting on DPS queues. I even got some 463 shoulders out of my first loot bag. 3) BATTLE GROUNDS: Monks have a great tool kits for PVP. We have everything a snare, disarm, polymorph, and a stun. Some BG’s I get rolled, and some I feel pretty good. This is on account of a mix of 450 gear and trial and error. Having the honor gear be equal stat wise with JP rewards is a huge boon to a guy who wants to be able to do PVE and PVP content. Brewmaster monks are a lot of fun. The play style is everything I have been looking for in a tank class. I can’t wait to get our raid team up and running. Mogu’Shan Vaults looks like it will be lot of fun to tank after months and months of DS and it’s stick in the mud bosses. So cheers for MOP and being back at Badtauren.